Although I am devastated, I am so proud of this team for being the only African team to make it to the quarterfinals, and for beating the odds time and time again. They have so much passion, so much heart, and the support of the (Pan)African community behind them. To take it back and get a little nostalgic for a minute, the Black Stars will always have a special place of my heart for introducing me to the excitement and the high that only a game like soccer can give you. In January – February 2008, Ghana hosted the Africa Cup of Nations. We arrived in Ghana for our study abroad right in the midst of the pandemonium. The first thing I did after meeting my homestay family, was unpack and sit in the living room with them to watch Ghana play (and beat) Nigeria in the Quarterfinals. Their dedication to and investment in the Black Stars was like nothing I had ever seen or experienced. I began watching the game with indifference, but by the end of the game I was celebrating with the rest of my family, neighbors, and really the entire neighborhood when Ghana pulled through and advanced to the Semifinal. Black Star fever had gripped me and so had a new found respect for the game of soccer. 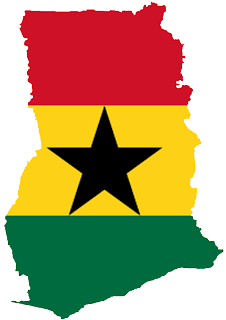 I have been rooting for Ghana throughout the cup (although I must admit I was a little torn when they beat the US…lol), and again, I must say I am so proud of the effort they put forth. Well done, team. WELL DONE. You are currently browsing the Africa Cup of Nations category at That's So Deep.